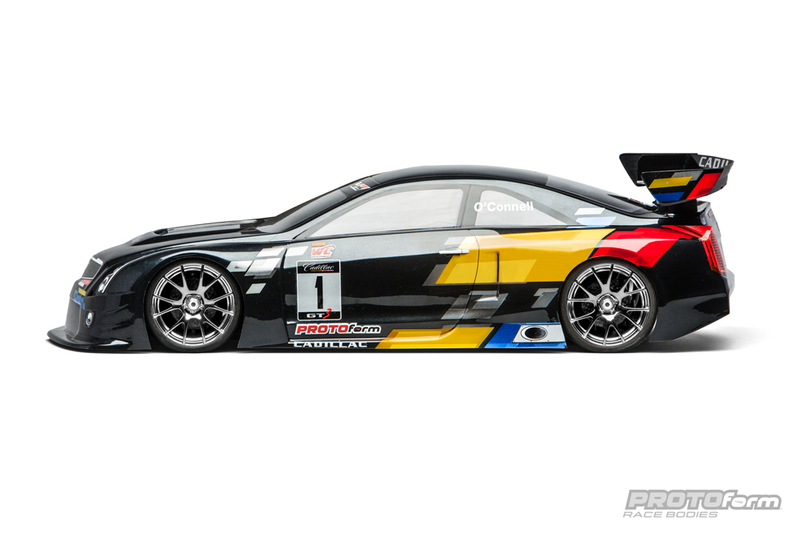 PROTOform’s new Caddy is a great representation of the full-size car and comes molded out of .030 Lexan. This hot body is designed to fit a 190mm touring car chassis and it’s a sweet looking piece. Beyond scale appearance, the body is also designed to provide maximum performance and includes tuning options for various types of racing. 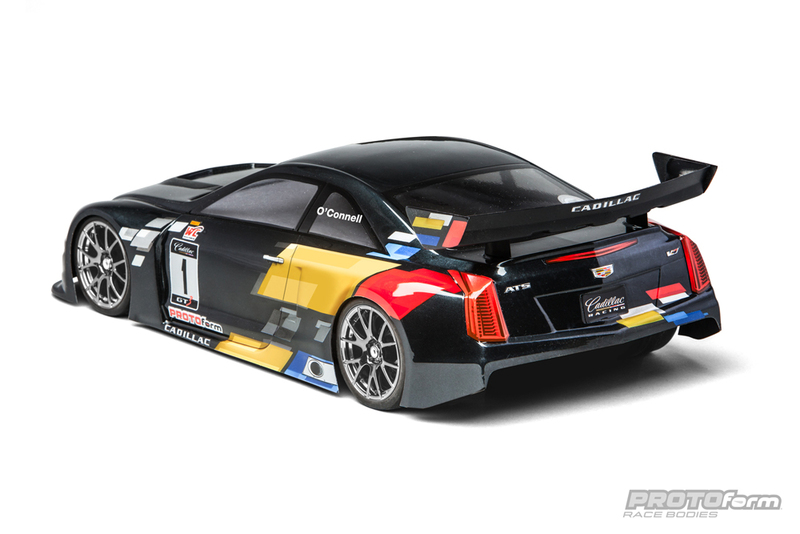 I’m an off-road guy but after seeing this new PROTOform Cadillac ATS-V.R body I think I’m going to have to get my hands on a sedan just so I can mount one up. 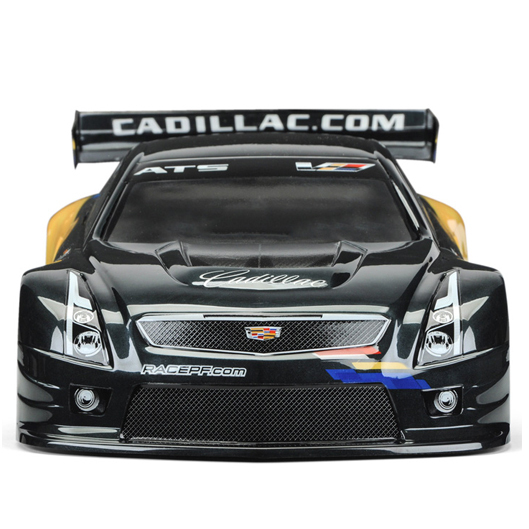 Cadillac Racing stormed back into the motorsports spotlight in 2015 with their factory-works ATS-V.R race car, the third generation of V-Series race cars. Built to international FIA GT3 specifications, this pedigree allows it to potentially run in more than 30 different GT series around the world. The ATS-V.R has proven a success with top drivers Johnny O’Connell and Andy Pilgrim at the wheel, scoring multiple overall wins and pole positions in the World Challenge series. This 2-door coupe race body is formed from genuine .030” lexan® and includes injection-molded wing struts to support a unique rear wing design. The wing features 2 different levels of trim, a 10mm vertical section for sanctioned USGT racing and a 20mm upper laid-back trim for club racing, making the PROTOform ATS-V.R suitable to any kind of GT-class rules. As always, wing mounting hardware, and paint-then-peel overspray film are included.